Jayden Bartels Photos, News, and Videos | Just Jared Jr.
Hayley Orrantia stuns in a bright pink dress at the premiere of Teen Spirit held at ArcLight Cinemas on Tuesday night (April 2) in Hollywood. 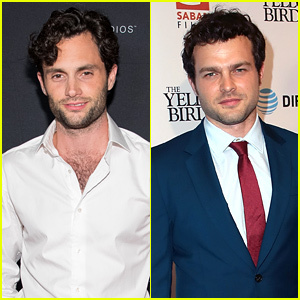 The Goldbergs actress joined her co-star AJ Michalka, and her boyfriend, Good Trouble star Josh Pence at the special screening event. Olivia Sanabia, Harvey Guillen, Teala Dunn, Jayden Bartels, Aubrey K. Miller, Francesca Capaldi, and Sky Katz were also spotted on the red carpet. Sky is also pictured the Free Spirit VIP premiere at the Grove the night before. Annie LeBlanc & Jayden Bartels Rock the Orange Carpet at Kids' Choice Awards 2019! Annie LeBlanc and Jayden Bartels are ruling 2019 Nickelodeon Kids’ Choice Awards! 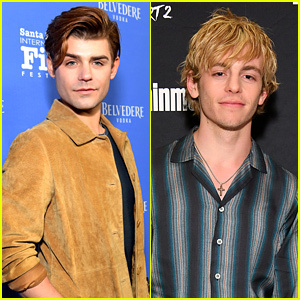 The BFFs, who co-hosted the orange carpet live stream, stepped out at the award ceremony on Saturday afternoon (March 23) at the Galen Center in Los Angeles. They were also joined by Annie‘s younger sister Hayley as well as Lily Chee. The 2019 Kids’ Choice Awards, hosted by DJ Khaled, will air TONIGHT at 8 PM on Nickelodeon. FYI: Annie is wearing a Black Halo jumpsuit, a Melamed belt, Alexandre Birman shoes, and jewelry from Swarovski and Annie LeBling. Jayden is wearing an alice + olivia top, Topshop pants and Sam Edelman shoes. Lily is wearing a Marc Jacobs dress and shoes. So many stars stepped out for the Nickelodeon x Instagram Slime Soiree! Musical duo Max & Harvey, actress and singer Jordyn Jones, and former Big Time Rush member Kendall Schmidt had fun at the 2019 Nickelodeon Kids’ Choice Awards pre-party held at a private house on Friday (March 22) in Venice, Calif. They were joined by Knight Squad‘s Daniella Perkins, Owen Joyner, and Lexi DiBenedetto, Cousins for Life‘s Scarlet Spencer and Micah Abbey, A Family for the Holidays‘ Brooke Butler, Last Man Standing‘s Jet Jurgensmeyer, actress Jayden Bartels, dancer Nia Sioux, and YouTuber Brent Rivera. Also in attendance were singers Sofia Reyes, Baby Ariel, and Annie LeBlanc, musical artists AJ Mitchell, Indiana Massara, Bianca and Chiara D’Ambrosio, and Jenna Raine, as well as Alex and Alan Stokes, Ben Azelart, Bryce Xavier, Charles Gitnick, and Matt Smith. Guests enjoyed cupcakes and other yummy treats, a ball pit, a swing, and more surprises. There was also a surprise dance performance to KCA host DJ Khaled’s “All I Do Is Win,” choreographed by celeb choreographer Kyle Hanagami featuring star teen dancers AC Bonifacio, Nicole Laeno, Tati McQuay, Will Simmons, and Jayy Hancock. The 2019 Kids’ Choice Awards takes place TODAY in Los Angeles and will premiere tonight at 8 p.m. ET/PT! FYI: Jordyn is wearing Miranda Frye and Astrid & Miyu jewelry, plus a Blacksea clutch. Jayden Bartels Drops New Song 'You, Not Him' & Lyric Video! We are loving Jayden Bartels‘ new song! The 14-year-old singer and Coop and Cami Ask The World actress just released her latest single “You, Not Him” and you need to hear it. “I love you so much! Thank you for your endless support,” Jayden wrote on her Instagram story after the song dropped. Jayden also shared a lyric video for the heartfelt song about making a mistake with a past relationship and she directed it herself! 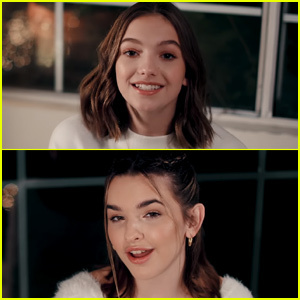 Jayden Bartels & Jenna Raine Get Festive in 'Sleigh Ride' Music Video - Watch Now! Jayden Bartels and Jenna Raine have got us so excited for Christmas! The BFF duo dropped a music video for their holiday song “Sleigh Ride” and we’ve totally got it on repeat. “It’s been so much fun collabing with @missjaydenb on this n i’m so excited you guys are loving it! ily 💛,” Jenna wrote on her Instagram. Happy holidays Jayden and Jenna! 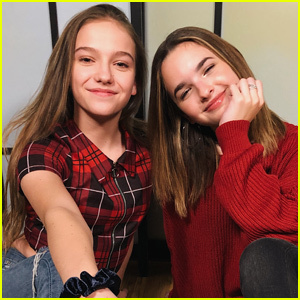 Jayden Bartels & Jenna Raine Release 'Sleigh Ride' - Listen Now! Jayden Bartels and Jenna Raine are in the holiday spirit! The BFFs teamed up to record “Sleigh Ride” – their very own cover of a holiday song! Jayden and Jenna dropped the song along with an adorable lyric video that features puppies running through the snow. “the #sleighride lyric video is out now…there’s puppies!!! ❄️,” Jenna wrote on her Instagram. Plus, the duo just recorded a music video for the song! 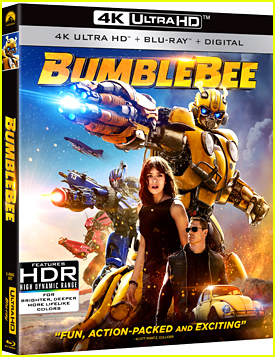 We can’t wait to see it!